2-3 tbsp. thick, natural yoghurt (optional) or double cream. Tinned cream will do if fresh is not available. 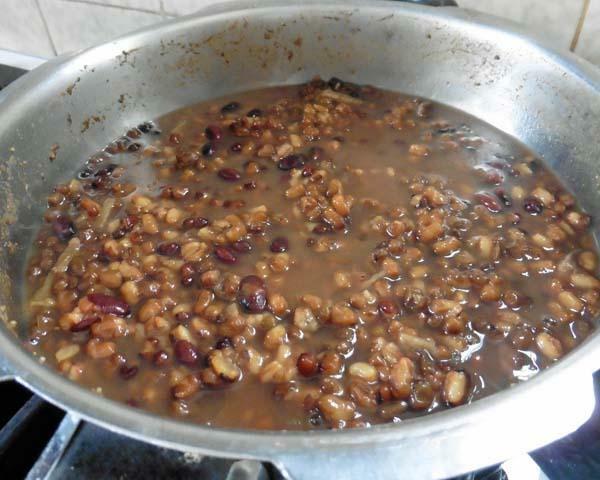 Traditionally, fresh white butter was used, hence the name Butter dal. This type of butter is more difficult to find in the West. 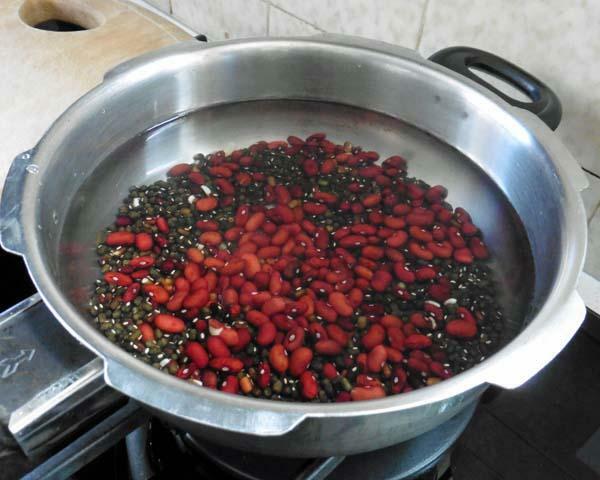 Wash and soak both dals together for 3-4 hours. Soaking for longer, say overnight, is even better because it reduces cooking time. Place water, washed and drained dal, half of grated ginger, ground fennel and turmeric powder in a pressure cooker and cook under full pressure for 6-8 whistles/for 20-25 minutes. 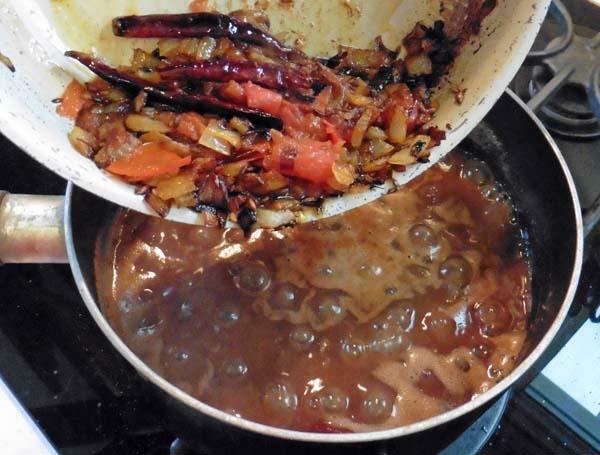 Without prior soaking, this dal takes longer to cook and has more possibility of causing flatulence. 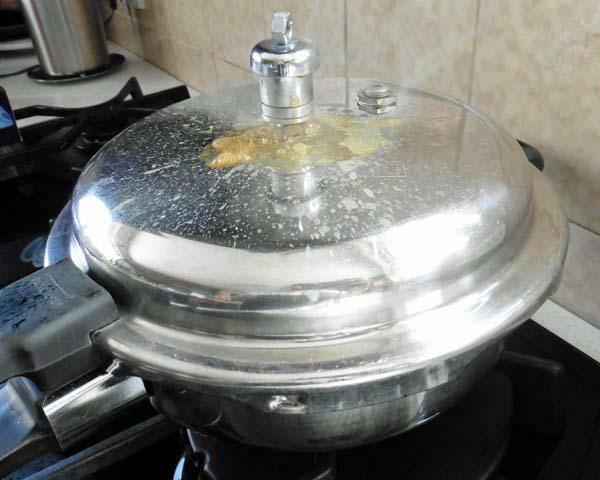 Allow pressure cooker to cool and then check whether the dal is cooked soft. 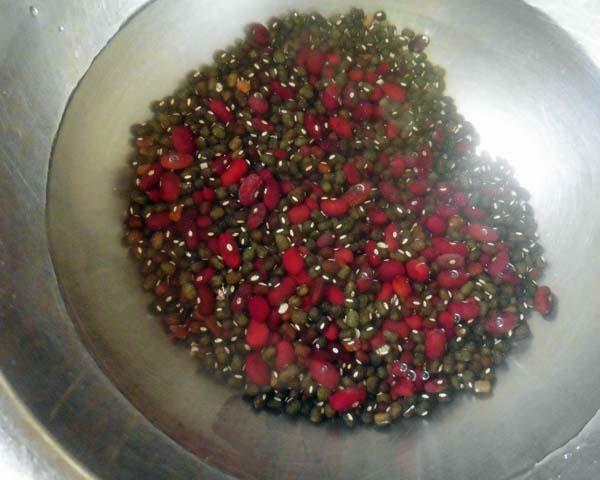 This may take different times with different quality of dals, the softness of water etc. If necessary, cook the dal for another 3-4 whistles. Add salt, taste and adjust amount. 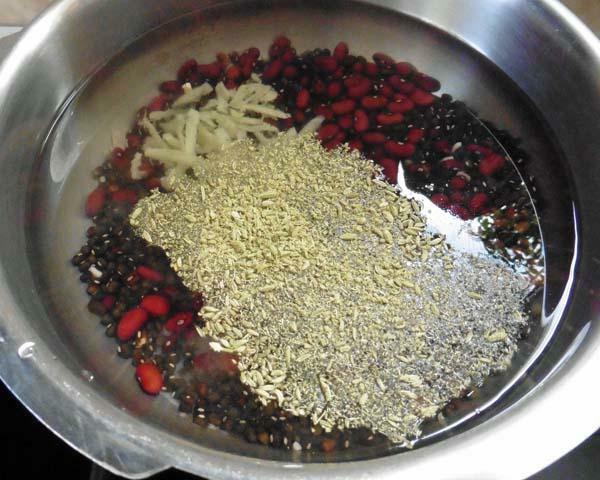 Add cumin seeds and hing/asafoetida, allow seeds to splutter/crackle. 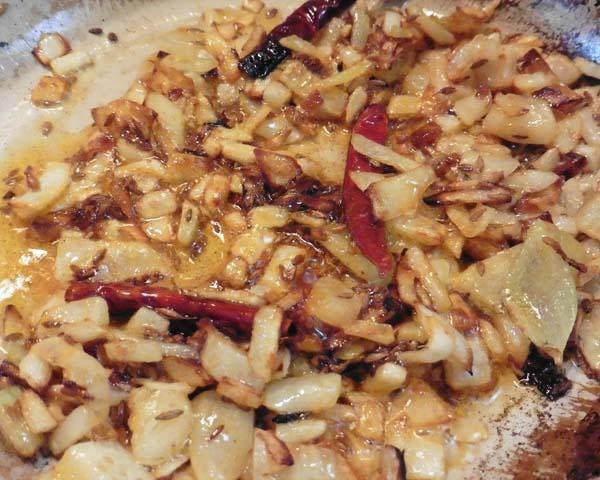 Add whole red chillies (broken ones), ginger and garlic and fry for 30-40 seconds. 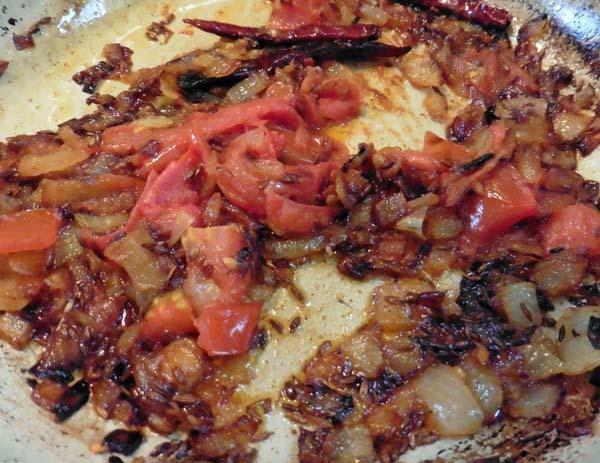 Add onions and fry until light brown. 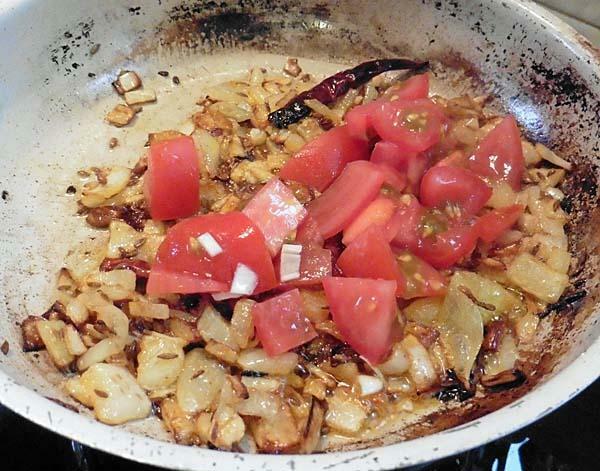 Add chopped tomatoes chilli powder & garam masala, stir-fry until ghee separates. 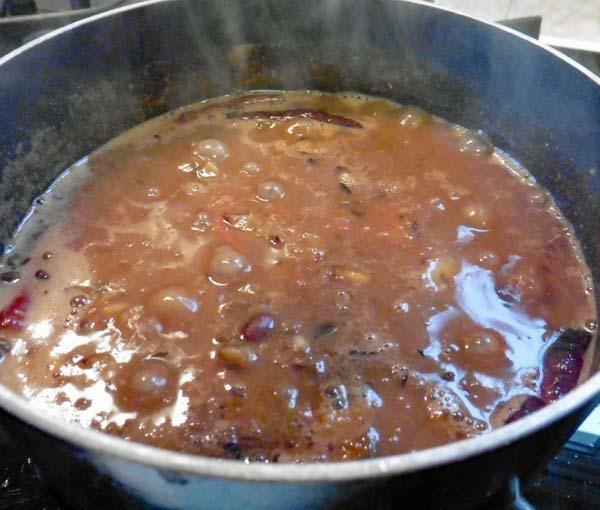 Add to the cooked dal and simmer dal for a further 5-6 minutes. Add 3/4 of the cream and half the coriander leaves and stir. Just before serving, garnish with remaining coriander leaves and a whirl of cream on top. 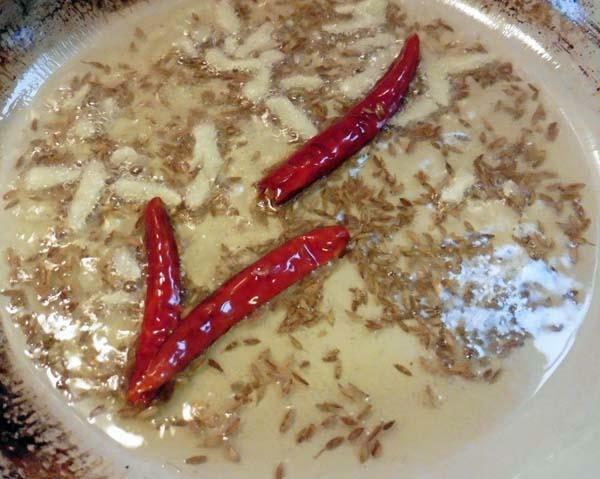 Serve with hot Chapatti and Boiled Rice. 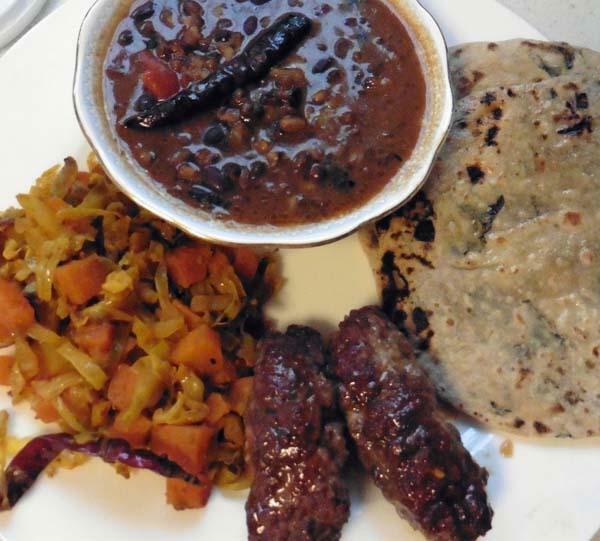 Traditionally this dal was cooked slowly for hours on charcoal fire. This gave it a creamier texture. 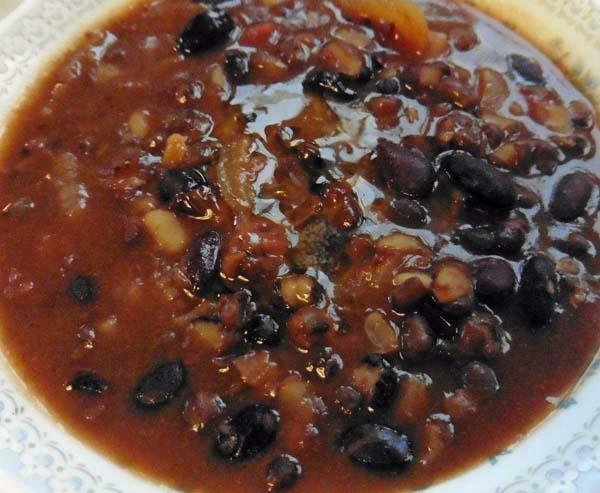 You can make it in slow cooker but make sure that you boil it briskly in a pan for last 10 minutes. 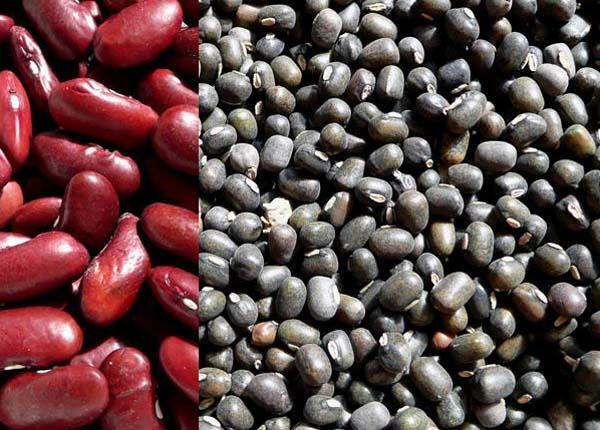 This is to neutralise the toxins in Kidney beans or Rajma. In a traditional Punjabi house, it has a lot of ‘malai’ (thick skin that forms on top of boiled full cream milk)) or fresh butter added to it. These days, people generally add thick yoghurt or double cream to it. Use olive oil instead of ghee or butter.